On a Sunday afternoon in Goldfield, NV, a “Wanted” sign whipped around in the wind. It was hung from the side of an Old West storefront. The town of Goldfield (population 286 in the 2010 census) straddles US-95, and it’s one of few stops along the 400-mile stretch connecting Las Vegas with Reno. Hemp remains a federally controlled substance, but about 35 states, including Nevada, have pilot programs that allow farmers like McCoy to grow, research and sell hemp, a variety of cannabis. Last year, more than 20 growers planted 429 acres as part of the state’s program, which is administered by the Nevada Department of Agriculture, and demand is expected to keep growing. Although hemp is related to marijuana, it contains a very low concentration of THC, the chemical responsible for marijuana’s high. Hemp can be used in commercial product as long as the product contains less than 0.3 percent THC. Farmers say their hemp crop could be used in paper, rope and textile production. So far though, the largest market in many states is for human consumption. That’s because out of hemp comes CBD, a cannabis compound that lacks marijuana’s psychoactive properties but is used for medical treatments. Hemp growers often sell their CBD to dispensaries. Yet day-to-day business for a hemp grower is one of uncertainty. Last week, Republican Senate Majority Leader Mitch McConnell announced plans to introduce a bill that would declassify hemp as a controlled substance. McConnell, who is up for re-election in 2020, announced the move from his home state of Kentucky, which has the third-largest hemp program in terms of acreage. And growers from Nevada to North Dakota are watching the proposal closely. There are some who believe that legalizing hemp on the federal level could diminish Nevada’s market share by making it easier to transport hemp across state lines bolstering states where there is more water available to farm thousands of acres. But many hemp farmers, including McCoy, are optimistic and believe the net effect will be to increase demand by creating a larger market of buyers for more hemp products. 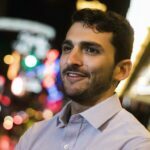 “If anything, [legalization] might actually increase the demand,” he said. Adrienne Snow farms a range of hemp varietals on about 60 to 100 acres in Fallon. She described McConnell’s bill as a game-changer. “It would be huge,” she said. The market in Nevada, and in several other states, is mostly limited to CBD. Using raw hemp for other products, such as textiles, paper and concrete, requires expensive machinery and without federal certainty, investors have been unwilling to put down big bets on costly processing equipment. There are few refining facilities in the West, Snow said, and that makes it difficult for her company, Western States Hemp, to market certain varietals that could be turned into fibers or used in animal feed. “It is easier for [retail] manufacturers to import [hemp] from out of the country than obtain it from farmers in the United States because of scheduling and all the rules about crossing state lines,” she said. Even so, Nevada Department of Agriculture data shows the industry is growing with demand for CBD, which is often sold in dispensaries. Hemp growers in Nevada can sell CBD through the state’s marijuana program. Whalen, like many other farmers, would like to see the federal government legalize hemp. Yet he conceded that in some cases, farmers have benefited from the legal uncertainty at the federal level. It has created a market that’s often isolated from other states. Much of Whalen’s product stays within the state, farmers said, because there is uncertainty about transporting raw hemp products across state lines. Nevada has other advantages, too. He said the dry climate enables the growth of higher-quality hemp because there are fewer mold issues. This is reflected in the price. At one point this season, Whalen said the price of hemp hit about $350/pound. The average in Nevada, he said, comes to roughly $200/pound, about twice the price of Colorado hemp. The state couldn’t confirm how accurate those estimates were because it doesn’t have data on hemp prices. Sales are conducted privately. This could change if McConnell’s proposal becomes law. The legalization of hemp on the federal level will likely stabilize the market and bring down prices, according to Patrick Goggin, an attorney representing several hemp groups in a lawsuit against the Drug Enforcement Agency. Whalen is growing hemp near the Funeral Mountains, which separate Nevada from Death Valley. 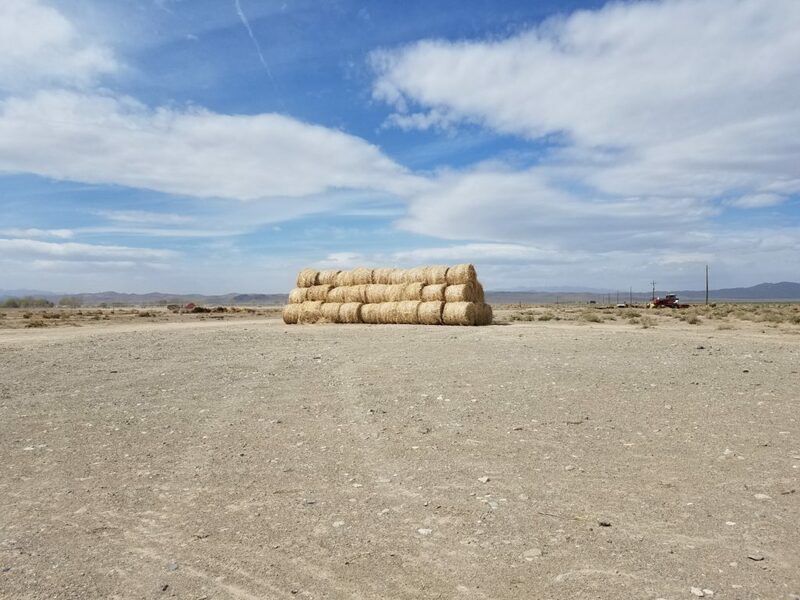 In the Amargosa Valley, about 80 miles from Las Vegas, he plans to farm this year on about 100 acres with a water right he obtained from a local dairy. He is enthusiastic about his product. During a phone interview, he boasted about his strain, noting that hemp is similar to marijuana except that it has a much lower level of THC. Charlotte’s Web is a strain of CBD that has helped alleviate seizures in some young children. Whalen attributes an increase in CBD demand to its medical applications. The stigma around hemp is going away, he said. “That has a lot to do with story after story after story of healing,” he said. All of these activities were made possible by Congress. In the 2014 Farm Bill, Congress created a carve-out for growers itching to cash in on the federally-controlled substance. It allowed states to set up programs for hemp cultivation if it contributed to research and development. The next year, the Legislature approved a research pilot program for Nevada under the supervision of the state’s Department of Agriculture. In 2016, Nevada had its first season of hemp production. The program has grown steadily from 11 growers planting 319 acres to 32 growers planning to plant 718 acres in 2018. Indoor production has also increased. (NOTE: The 2018 number indicates the amount of hemp farmers plan to plant this year, according to applications that the state had received as of April 3. The 2016 and 2017 data indicates how much hemp has been planted). Although marijuana can be a more divisive issue, Nevada’s hemp cultivation program won bipartisan support when it was created by the 2015 Legislature. It passed with no dissenting votes. Some of that requires public outreach and education. Snow’s company, Western States Hemp, produces videos that help explain what hemp is and how it is used in commercial products. That same dynamic has played out in Congress, which is looking to change the rules again. If McConnell’s bill passes, it would be “groundbreaking,” said Goggin, the industry attorney. Interest groups still haven’t seen a bill from McConnell, and they noted that a lot depends on the language of the legislation delisting hemp as a controlled substance. Since states often have their own rules for controlled substances, it would likely trigger a flurry of new state legislation. Moreover, most states will likely need to broaden their statutes. The current state laws, including the ones in Nevada, were written to conform with the research carve out in the 2014 Farm Bill. Erica McBride, executive director of the National Hemp Association, said that most of all, the bill proposed by McConnell could bring certainty to the issue that has left investors on the sidelines. “Once it is legal federally, it will ramp up production,” she said. Update: An earlier version of this story mistakenly identified U.S. Highway 95 as “the I-95.” The error was corrected at 1:50 p.m. on April 5. The story was also updated to include more information about 2018 hemp cultivation data.